Competition Commission of India (CCI) found Kerala Film Exhibitors Federation (‘KFEF’), an association of theatre owners, to be conducting their activities in contravention of Section 3 of the Competition Act, 2002 (‘the Act’). The Informant, M/s Crown Theatre, had approached CCI alleging anti-competitive conduct by KFEF in not allowing screening of Malayalam and Tamil films in its theatre since May 2013. Consequent upon detailed investigation by Director General, CCI found that the conduct of KFEF amounted to limiting and restricting the provision of films in the market. It was found that due to its differences with the Informant, KFEF ensured that the Informant did not receive Malayalam and Tamil movies for release in its theatre. Such denial of Tamil and Malayalam language movies for screening due to the interference of KFEF was found to be in contravention of section 3(1) read with section 3(3)(b) of the Act. CCI observed that the distributors in the film industry denied Malayalam/Tamil films to the Informant due to the ban imposed by KFEF. They apprehended that non-observance of the directions of KFEF would result in their boycott as well by the members of KFEF. 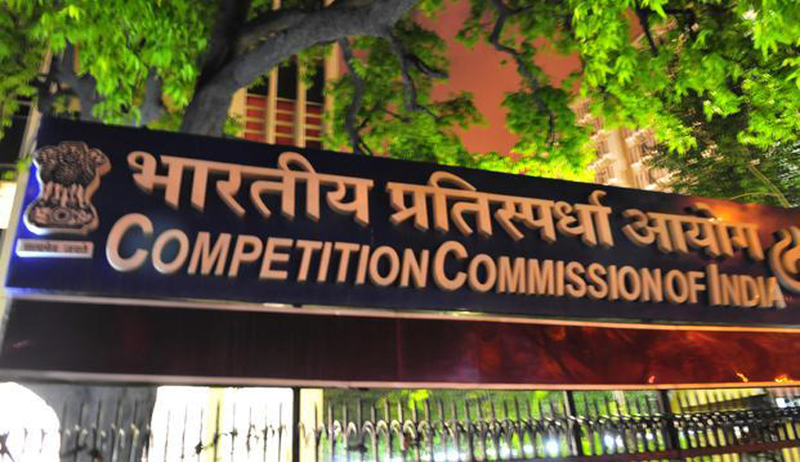 Accordingly, CCI held that KFEF has indulged in anti-competitive conduct in violation of the provisions of section 3(3)(b) read with section 3(1) of the Act. Further, two of its office bearers, namely, Mr. P.V. Basheer Ahmed (President, KFEF) and Mr. M.C. Bobby (Secretary, KFEF) were found to be in-charge of and responsible for the conduct of business of KFEF during the relevant period under section 48 of the Act. While imposing penalty under section 27 of the Act, the Commission observed that the objective of penalty is to discipline the erring entities for their anti-competitive conduct as well as to create deterrence to prevent future contraventions. The Commission also took into account the rampant instances of anti-competitive conduct by associations in the film industry and past orders of the Commission where heavy financial penalties have been imposed. The Commission further noted that the conduct of KFEF and its above said office bearers was under investigation in a previous case and despite this fact, they resorted to anti-competitive activities. Cease and desist from indulging in anti-competitive conduct. Penalty of Rs. 82414/- (Rupees Eighty Two Thousand Four Hundred and Fourteen only) on KFEF calculated at the rate of 10% of its average income. Further, a penalty of Rs. 56397/- (Rupees Fifty Six Thousand Three Hundred and Ninety Seven only) and Rs. 47778/- (Rupees Forty Seven Thousand Seven Hundred and Seventy Eight only)— calculated at the rate of 10% of their average income is imposed on Mr. P.V. Basheer Ahmed and Mr. M.C. Bobby, respectively. KFEF has been directed not to associate Mr. P.V. Basheer Ahmed and Mr. M.C. Bobby with its affairs, including administration, management and governance, in any manner for a period of two years. Furthermore, KFEF has been directed to organize, in letter and spirit, at least five competition awareness and compliance programmes over next six months in the State of Kerala for its members. The compliance of this shall commence before expiry of 60 days from the receipt of the order by OP.